Isiah Factor | The Insite » MICHAEL JACKSON AND PAMELA ANDERSON? MICHAEL JACKSON AND PAMELA ANDERSON? September 8, 2008 | Posted in Uncategorized | Comments Off on MICHAEL JACKSON AND PAMELA ANDERSON? THE LATEST HOLLYWOOD GOSSIP ON THE INSITE! 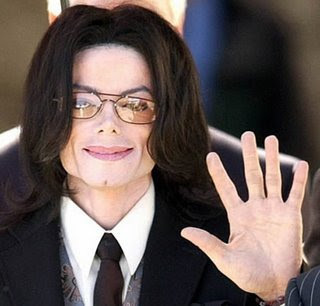 ONLINE REPORT: The King of Pop, Michael Jackson, has had some very brief relationships in his 50 years of life, but the newest alleged relationship will probably throw many people for a loop. Recent reports show the “Billie Jean” crooner paired up with Pamela Anderson, best known for her role on “Baywatch” and her various marriages. It makes a bit of sense that these two would be paired up, as neither of them can seem to keep a steady relationship going, but it might be a bit too weird for many people to understand. British gossip site, Mirror.co.uk, reports that a source tells them Michael and Pam have been on two dates, first to the Shutters Hotel at Malibu Beach and second to Country Mart, also in Malibu. So, there might be truth to this gossip, but, who are we kidding? Michael Jackson and Pamela Anderson? What is the world coming to?